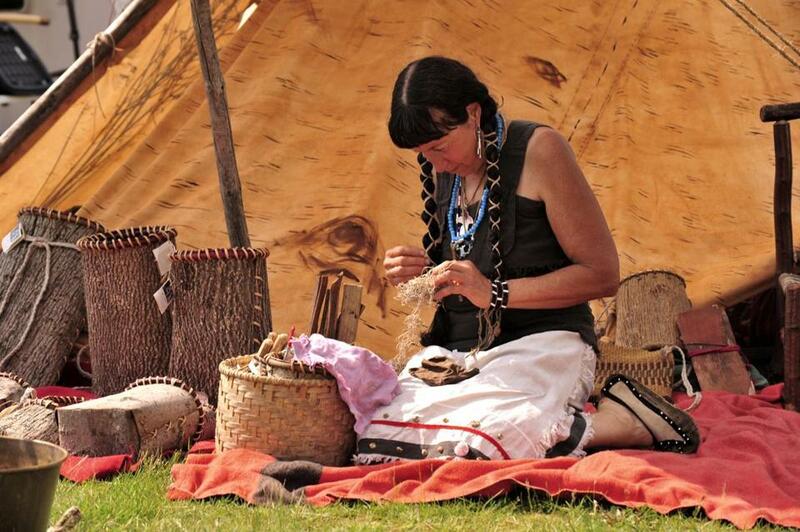 Jennifer Lee, Narragansett, will speak on the traditional ways of the Northeast Woodlands People, focusing on the 18th-century trade era, at the Spring Moon Pow-Wow in Marshfield. SPRING PLANTING MOON The 24th annual Spring Planting Moon Pow-Wow and Native American Arts & Crafts Festival features Iroquois water drummer singer Dave Little Tree; an interactive educational workshop by Claudia Fox Tree; traditional craft demonstrations of wampum making and basket making; storytelling in front of the tipi; and a presentation by Jennifer Lee in front of the Eastern conical wigwam. Also intertribal dancing, specialty dances, and native food such as clam cakes and chowder. Marshfield Fairgrounds, 140 Main St.; Saturday-Sunday, May 27-28, 11-5; $5, $4 seniors, $3 children. MOMMA SAID Author Marianne Leone speaks on her new book about her frequently outrageous Italian immigrant mother, “Ma Speaks Up: And a First Generation Daughter Talks Back.” Born on a farm in Italy, Leone’s mother comes to America under difficult circumstances, is widowed young, and becomes a school lunch lady. 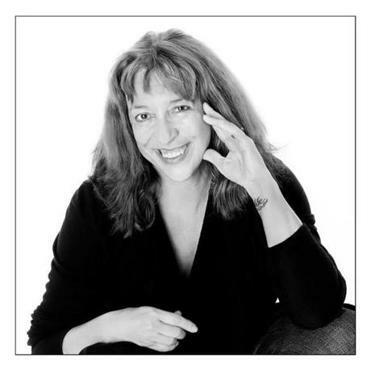 Actress, screenwriter, essayist, and author Leone lives in Kingston with her husband, actor Chris Cooper. 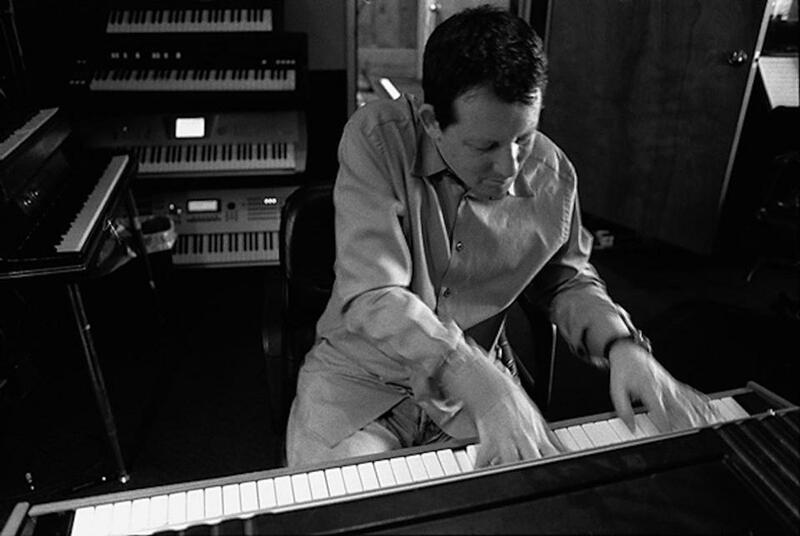 Kingston Council on Aging, 30 Evergreen St.; Thursday, May 25, 7 p.m.
ALL THAT WEEKEND JAZZ The Spire Center for Performing Arts in Plymouth presents the fourth annual Plymouth Rock Assurance Jazz Fest on Memorial Day weekend, produced by Plymouth jazz musician Johnny Souza. The Donna Byrne and the Marshall Wood Trio, plus The Thomas Snow Quartet featuring Ken Peplowski perform on Friday, May 26, 7:30 p.m.
A.G.N.Z. with Jay Azzolina, Dino Govoni, Adam Naussbaum & Dave Zinno, and Jeff Lorber take the stage on Saturday, May 27, 7:30 p.m. The New Black Eagle Jazz Band performs Sunday, 2 p.m. For tickets see www.spirecenter.org. OYSTER FESTIVAL The Wareham Oyster Festival, offering music, food, and crafters takes place on Main Street on Sunday, May 28, 11-5. The Wareham Oyster Festival Gala, a benefit for the Boys and Girls Club, is held at Rosebrook Event Center, 50 Rosebrook Place; Thursday, May 25, 5:30-8 p.m.; $40, www.warehamoyster.com. Milton Public Library, 476 Canton Ave.; reception on Thursday, June 8, 6-8 p.m.
Also, the library screens Marvel’s “Captain America, Civil War” at “Tuesday Night at the Movies” on Tuesday, May 30, 6 p.m., www.miltonlibrary.org. ; free. TWO CHORUSES South Shore Conservatory’s Community Voices and Community Voices Too! -- non-auditioned choruses that provide ensemble singing opportunities to more than 60 adults and young adults with disabilities -- present their spring concerts. Inly School, 46 Watch Hill Drive, Scituate; Sunday, May 21, 4 p.m.; free. 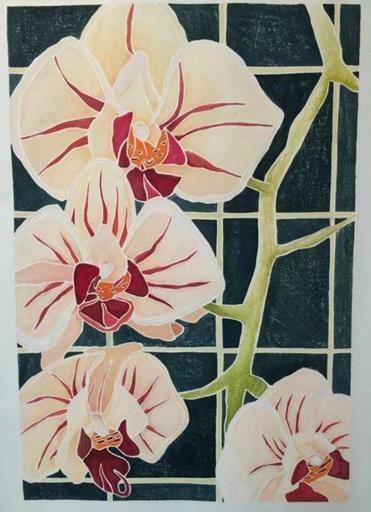 Julie Gray's Andrea's Orchid, a white line woodcut. Art Complex Museum, 189 Alden St., Duxbury; opening reception on Sunday, May 21, 1:30-3:30 p.m.; free. FINGER STYLE Steve Rapson, a solo finger style guitarist, performs at the Hingham Public Library. 66 Leavitt St.; Sunday, May 21, 3 p.m.; free, www.steverapson.com. ONCE UPON A CRIME Author Stephanie Schorow speaks on the “Crime of the Century” at The Milton Historical Society’s annual dinner. On Jan. 17, 1950, seven robbers in Halloween masks walked into a counting room of the Brink’s armored car garage in Boston and stole $2.5 million in cash, checks, and securities. Neighborhood Club of Quincy, 27 Glendale Road; Thursday, May 25, 6 p.m.
HABITAT Habitat for Humanity of Greater Plymouth holds its “Spring Indoor Yard Sale” to benefit its mission to build simple, affordable homes in cooperation with families. Plymouth United Methodist Church, 29 Carver Road; Saturday, May 27, 9-2. MEETING PLACES North Weymouth’s Meeting House District offers tours of three historic sites: the 1685 Abigail Adams Birthplace, 180 Norton St.; First Church in Weymouth, 17 Church St., where Abigail’s father, the Rev. William Smith, read the Declaration of Independence to his congregation; and North Weymouth Cemetery, where her parents are buried. Tours begin at 180 Norton St. on Sunday, May 21, at 1, 2, and 3:30 p.m.; $5 each tour. MANY TASTES The Lions Clubs International and the International Rotary Foundation, both celebrating turning 100, join for “A Taste of Sharon’s Diversity” with contributions from 18 different restaurants. Sharon High School, 181 Pond St.; Sunday, May 21, 4-8 p.m.; $20, $10 teens, seniors. FARM TO PANTRY Teens 13 to 18 can complete community service requirements at Holly Hill Farm while learning valuable growing and harvesting skills. Participants deliver produce to local food pantries at harvest time. 236 Jerusalem Road, Cohasset; Fridays 3 p.m., Saturdays 9 a.m., or by appointment; call Jon Belber, 781-383-6565. 371 River St., Weymouth; Thursday, June 8, 6:30-10 p.m.; $150, RSVP by May 25, www.arcsouthshore.org.